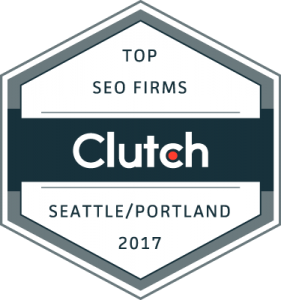 For the second year in a row now, we have been recognized as a top SEO agency in the Seattle/Portland and Denver markets by Clutch, and we are so pleased our efforts have led to such acknowledgment. Not only has our team worked hard to optimize our clients’ online presence, those we serve have noticed. Clutch determines who the top agencies are by their level of focus on SEO services and the feedback they get from clients on this work. We are honored our clients speak so highly of us! Anvil was selected based on Clutch’s proprietary research methodology, which uses quantitative and qualitative criteria to evaluate each company’s technical certifications, experience level, and market presence in the SEO industry. Clutch analysts also interviewed each firm’s past clients to learn how they approach challenges, develop strategies, and execute customized SEO campaigns. If you are interested in learning more about our SEO work, please check out our services page. You can also learn more about recognition we received here, and please contact us if you have any questions we can answer or you need help optimizing your online presence organically.